Quality and beauty abound in this beautiful country home. Sweeping countryside views make this home for perfect entertaining and family living. Beautifully updated kitchen with dining area that gives you a view of the rolling hills. Cozy family room, and living room with wood fireplace. Too many features to detail. A must see property! Susquehanna Valley Senior High School High School / Public 6 2.31 mi. Benjamin Franklin Elementary School * Pre-School, Elementary School / Public 1 2.38 mi. Brookside Elementary School * Pre-School, Elementary School / Public 5 2.85 mi. F P Donnelly School * Pre-School, Elementary School / Public 4 2.86 mi. St John The Evangelist School * Pre-School, Elementary School / Private N/A 2.75 mi. Richard T Stank Middle School * Middle School / Public 7 2.31 mi. 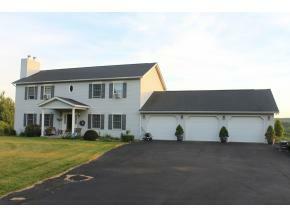 4255 Renole, Binghamton, NY 13903 is a 4 bedroom, 2.5 bath single family home was sold for $262,650.